The 2023 FIBA Basketball World Cup will be the 19th tournament of the FIBA Basketball World Cup for national men's basketball teams. This will be the second tournament under the new cycle which will start in 2019. It is also expected that there will be 32 teams in the tournament. As announced on 9 December 2017, this will be the first World Cup to be hosted by multiple nations: the Philippines, Japan, and Indonesia. 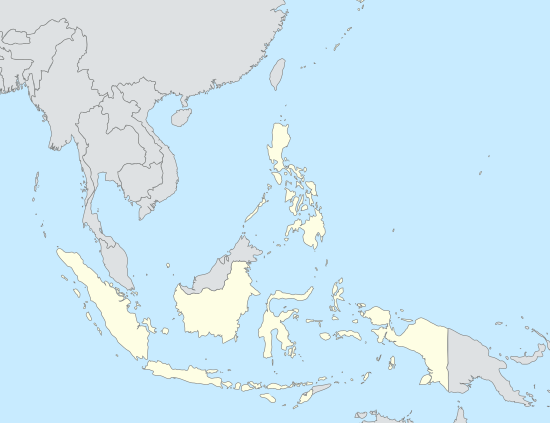 It is the first World Cup to be hosted in Indonesia, and the second to be hosted in both the Philippines and Japan since their first hosted tournaments in 1978 and 2006 respectively. On 7 June 2016, FIBA approved the bidding process for the 2023 FIBA Basketball World Cup. On 1 June 2017, FIBA confirmed the list of candidates for the hosting of the World Cup. Solo bidders Russia and Turkey ended their bids, leaving joint bids of Philippines–Japan–Indonesia and Argentina–Uruguay left in the race. On 9 December 2017, it was announced that the Philippines, Japan, and Indonesia won the bid against Argentina and Uruguay and will host the upcoming World Cup. During the 2019 FIBA Basketball World Cup in China, the three host countries of the 2023 World Cup will send representatives to observe the tournament. Six venues from six host cities will host matches of the 2023 FIBA Basketball World Cup. Metro Manila will host four Preliminary Round Group, two Second Round Groups and the Final tournament phase from Quarterfinals onwards. On the other hand, Okinawa and Jakarta will each be host to two Preliminary Round Groups and one Second Round Group. In the Philippines, there will be four venues that will be used for the World Cup: The Mall of Asia Arena in Pasay, Smart Araneta Coliseum in Quezon City, Philippine Arena in Bocaue, and the PhilSports Arena in Pasig. The Mall of Asia Arena hosted the 2013 FIBA Asia Championship and the 2016 FIBA World Olympic Qualifying Tournament in Manila, while the Smart Araneta Coliseum hosted the 1978 FIBA World Championship. The PhilSports Arena hosted the 2011 FIBA Asia Champions Cup. The Philippine Arena has a 55,000 seating capacity, and is poised to host the World Cup Final. The arena is also set to host the opening ceremony of the 2019 Southeast Asian Games. There will be one venue each in Japan and Indonesia. The Okinawa Arena in Okinawa, upon completion, will have a 10,000 seating capacity and will be the new home arena of the Ryukyu Golden Kings of the Japanese B.League. The Istora Gelora Bung Karno in Jakarta was renovated for the 2018 Asian Games, hosted by Jakarta and Palembang, and hosted the basketball tournament's later rounds of the said event. Philippines, Japan and Indonesia as co-hosts automatically qualify for the tournament when they were awarded hosting rights. However, the automatic qualification for Indonesia is provisional with FIBA imposing a strict condition that the country will have to make its national team competitive by 2021. If so, Indonesia will make their FIBA Basketball World Cup debut. One extra berth was allocated for Asia–Oceania in addition to the seven berths for a host. Up to two of three hosts will take the seven berths allotted leaving only 5 berths to be contested by teams from Asia and Oceania. 29 other nations will go through qualification which starts in 2021. Similar to the 2019 edition, the tournament will be played in three stages. In the first stage, the 32 qualified teams will be sorted into eight groups of four (A–H), each team in a group will play each other once. The top two teams from each group will then advance to the second group stage. In the second group stage there will be four groups (I–L) of four made up of the teams that advanced from the first round, again playing each other once. The top two teams from groups I to L will qualify for the final knockout phase. ^ "Indonesia berpeluang menjadi tuan rumah Piala Dunia FIBA 2023" (in Indonesian). Indonesian Basketball Association. 11 July 2017. Retrieved 25 July 2018. ^ "FIBAバスケットボールワールドカップ2023　予選ラウンド　沖縄開催決定のお知らせ" (in Japanese). Japan Basketball Association. 9 December 2017. Retrieved 25 July 2018. ^ Henson, Joaquin (22 March 2016). "MVP mulls bidding for 2023 World Cup". The Philippine Star. Retrieved 22 March 2016. ^ "Leading nations, exciting multiple host candidacies headline bids for FIBA Basketball World Cup 2023". FIBA. 1 June 2017. Retrieved 3 June 2017. ^ "Состоялась рабочая встреча по Кубку мира 2023 года". Russian Basketball Federation. 2017-06-01. ^ "Preparations for PH co-hosting of 2023 Fiba World Cup set to go full blast". SPIN.ph. 7 February 2019. Retrieved 7 February 2019. 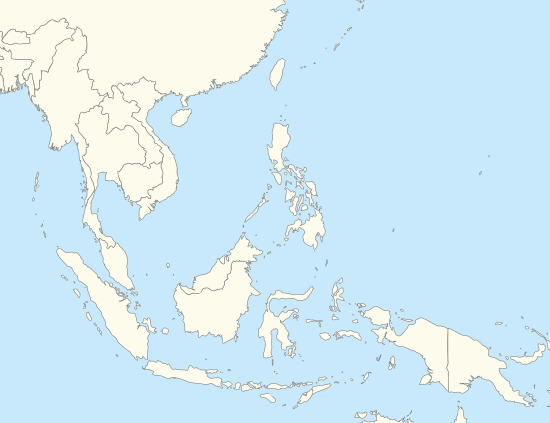 ^ "FIBA Basketball World Cup 2023 bid in focus: Indonesia/Japan/Philippines". FIBA. 12 October 2017. Retrieved 18 October 2017. ^ Henson, Joaquin (23 October 2017). "FIBA ends visit on positive note". The Philippine Star. Retrieved 23 October 2017. ^ Nelson Beltran (13 October 2017). "SBP offers major Metro Manila arenas as venues for 2023 FIBA World Cup". The Philippine Star. Retrieved 23 October 2017. ^ Cordero, Abac (16 December 2017). "FIBA World Cup: Venues will be ready in 2023". The Philippine Star. Retrieved 18 December 2017. ^ a b "Learning from 2019 World Cup". The Philippine Star. 13 December 2017. Retrieved 13 December 2017.